As NMCIR addresses the growing threats to our community, we need your help now more than ever. 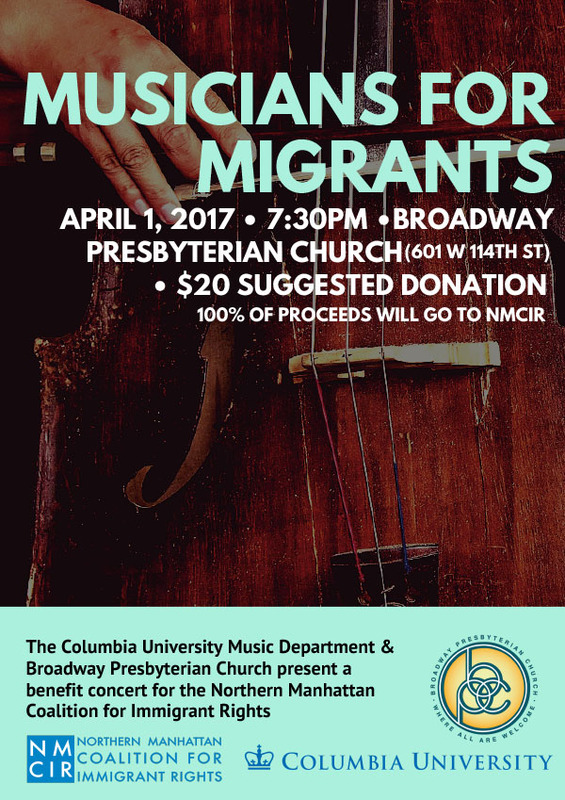 Columbia University is hosting a benefit concert for NMCIR at Broadway Presbyterian Church. The program consists of musical performances that range from classical to folk. We hope you can join us! Please share our Facebook event. If you can’t attend please consider making a donation!